Iona's statement is in response to rumors that St. John's was targeting Cluess after Bobby Hurley announced he was staying at Arizona State. 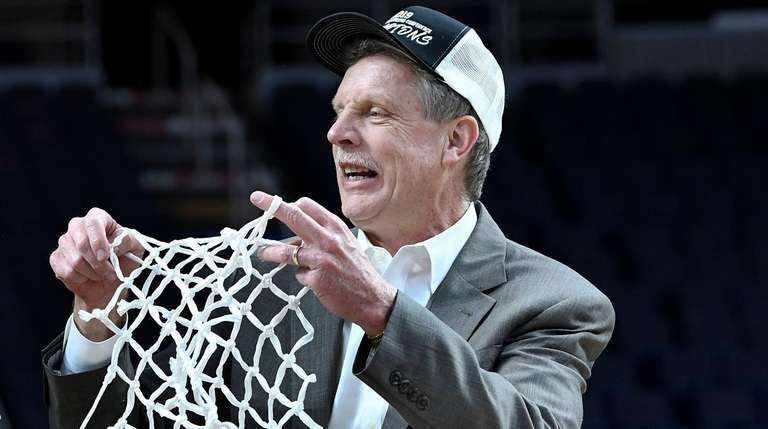 Iona College released a statement Friday stating that St. John’s had not requested permission to speak with basketball coach Tim Cluess about the Red Storm’s vacancy for the position. St. John’s athletic director Mike Cragg declined to comment, saying he will not provide a “play-by-play” of the school’s coaching search. Iona’s statement said the school is committed to keeping Cluess, 60, for the rest of his coaching career. In April 2018, Iona announced it had signed Cluess to a contract extension through the 2024-25 season. “Last year, Cluess and Iona entered into a significant long-term contract supporting his ability to eventually retire from Iona College,” the statement read. Iona’s statement comes on the heels of Bobby Hurley’s announcement Thursday night that he intends to stay at Arizona State. That left St. John’s without its presumed top candidate to take over for Chris Mullin, who stepped down as basketball coach on Tuesday. The only other reported candidate has been Cluess, a Floral Park resident who has brought Iona to the NCAA Tournament in six of his nine seasons as coach. Cluess coached at St. Mary’s High School in Manhasset, Suffolk CC and C.W. Post before being hired by Iona. He played two years for St. John’s from 1979-81 before transferring to Hofstra. His three brothers also played basketball for St. John’s.